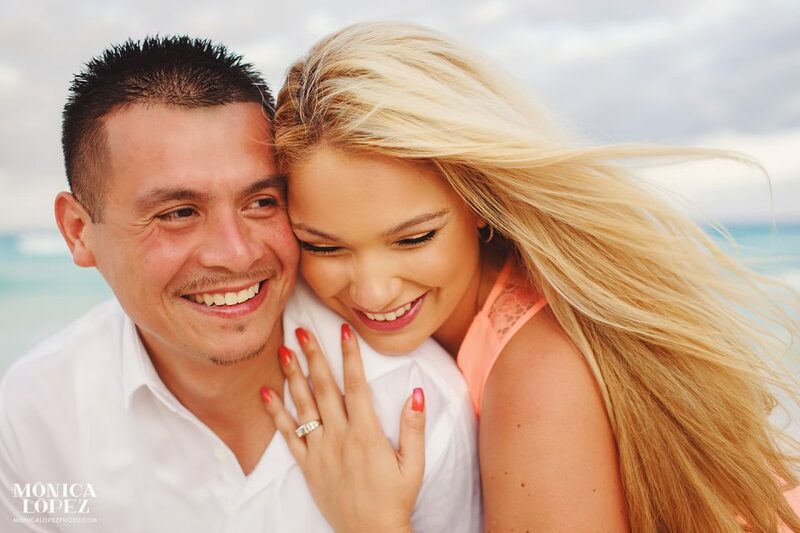 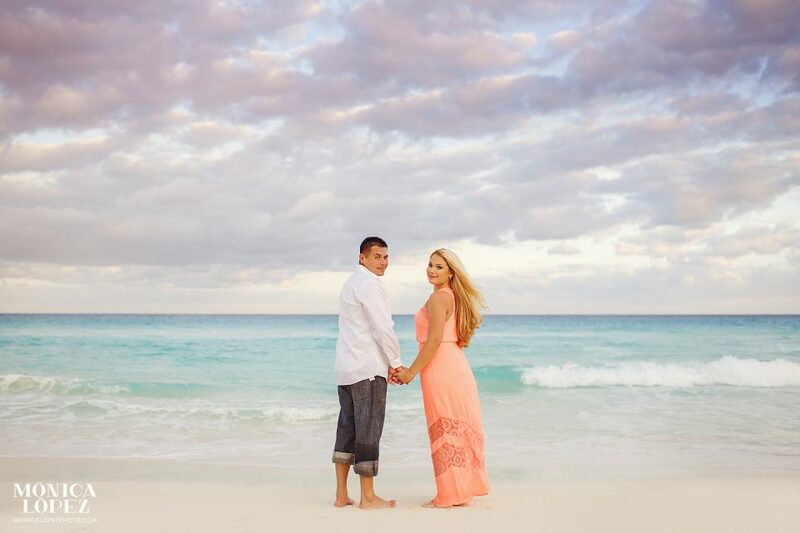 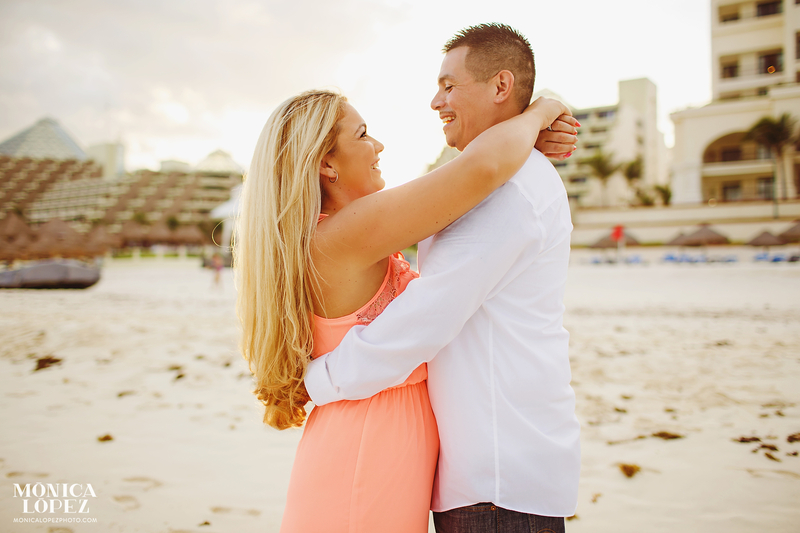 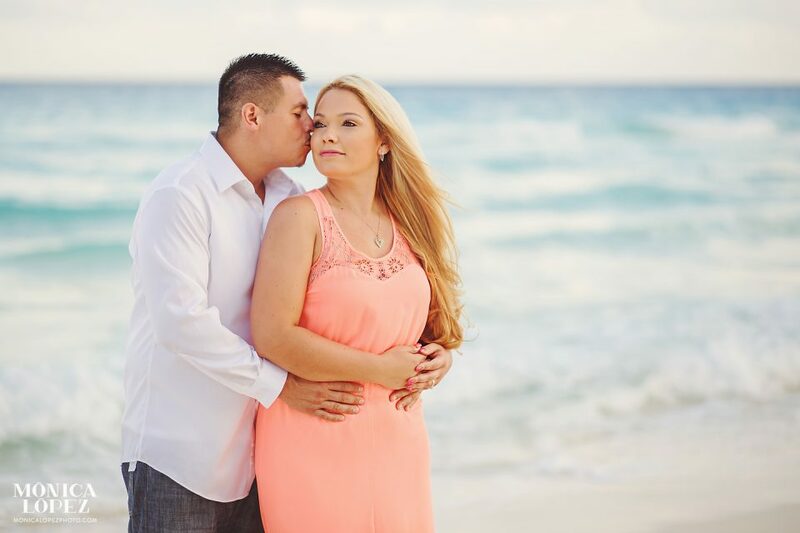 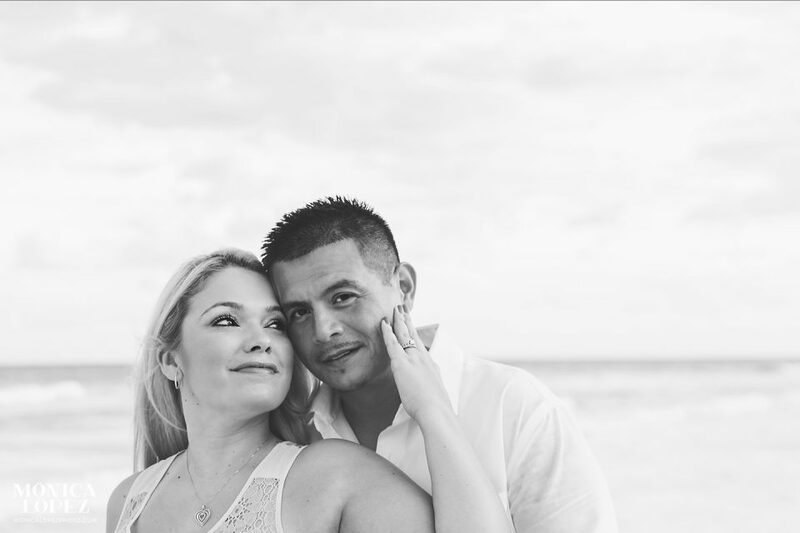 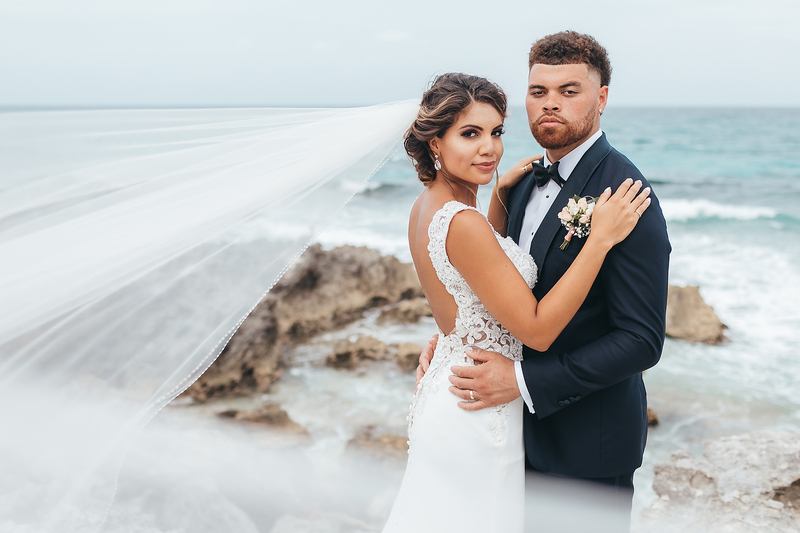 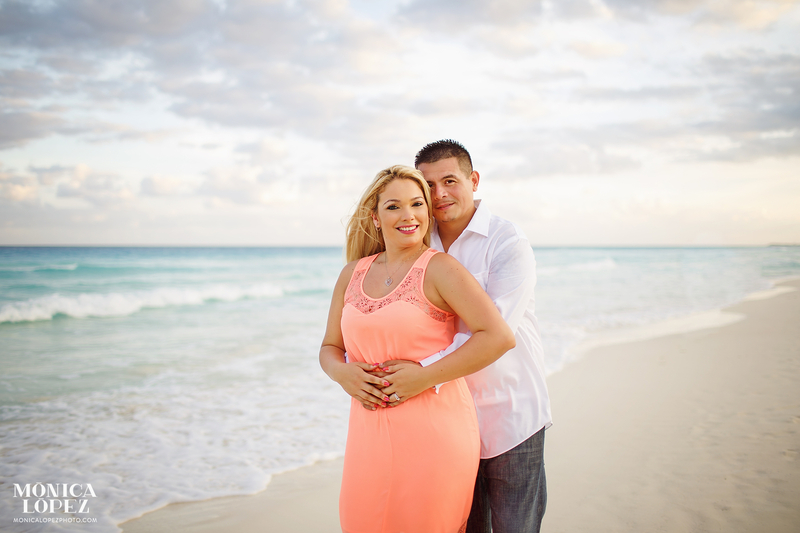 Cristina’s engagement ring sparkled, catching the sunlight throughout her engagement portraits in cancun on the white sand beaches. 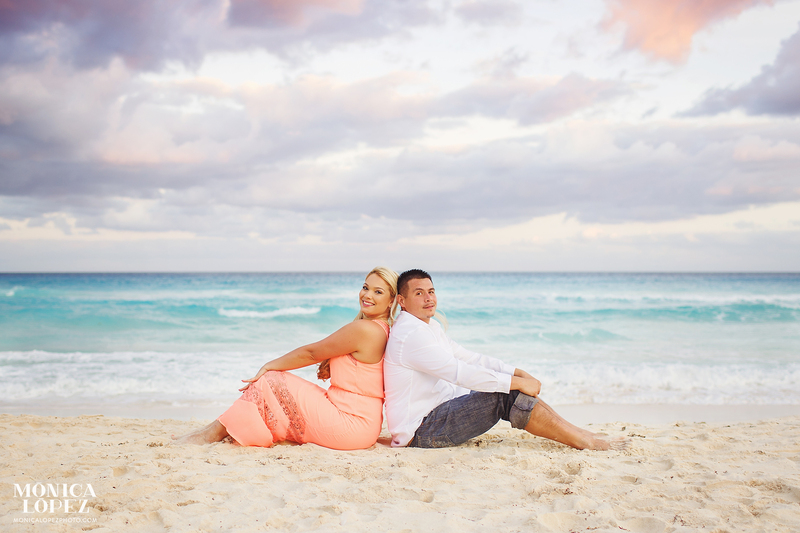 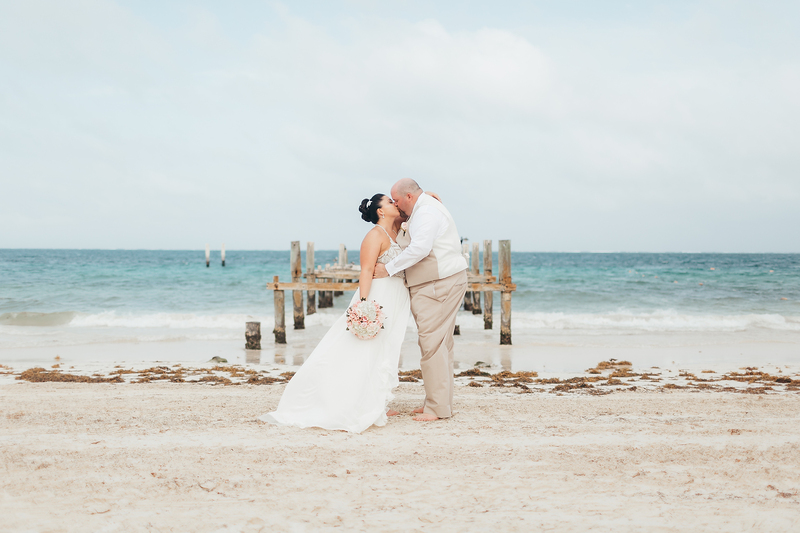 I met up with Cristina and Noel at Emporio Hotel, located in the southern part of the Cancun Hotel Zone, an area known for the incredible blues of its waters. 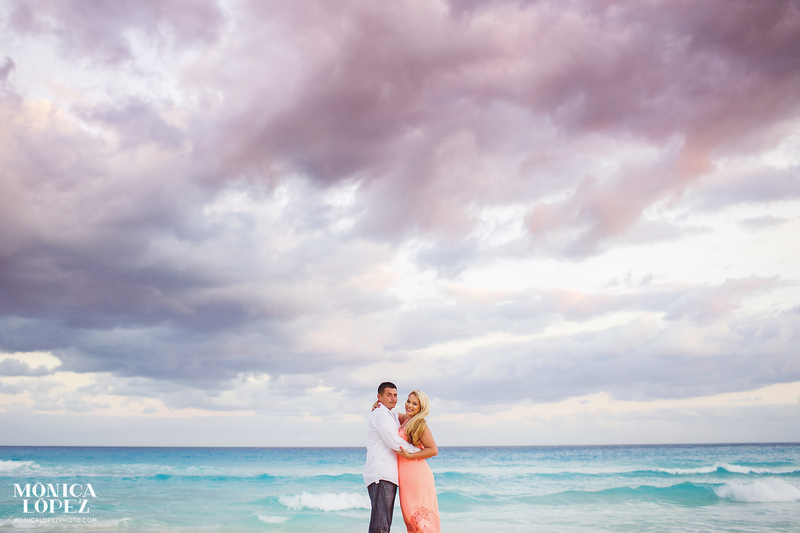 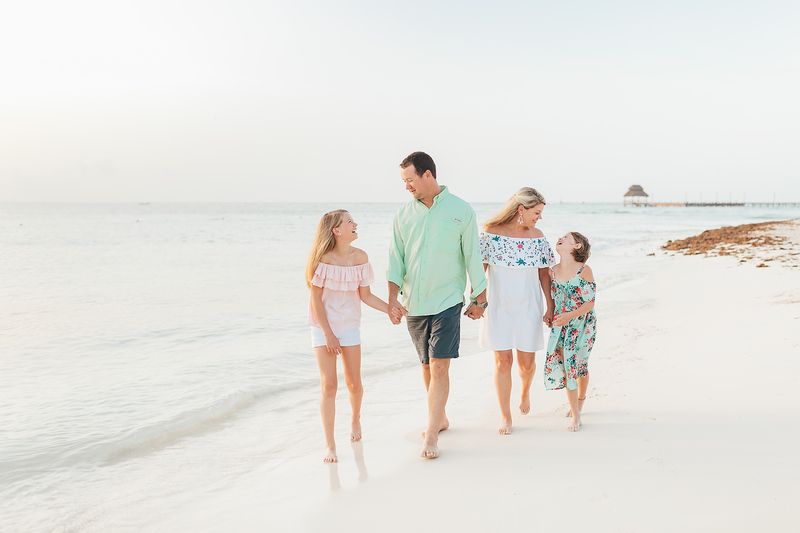 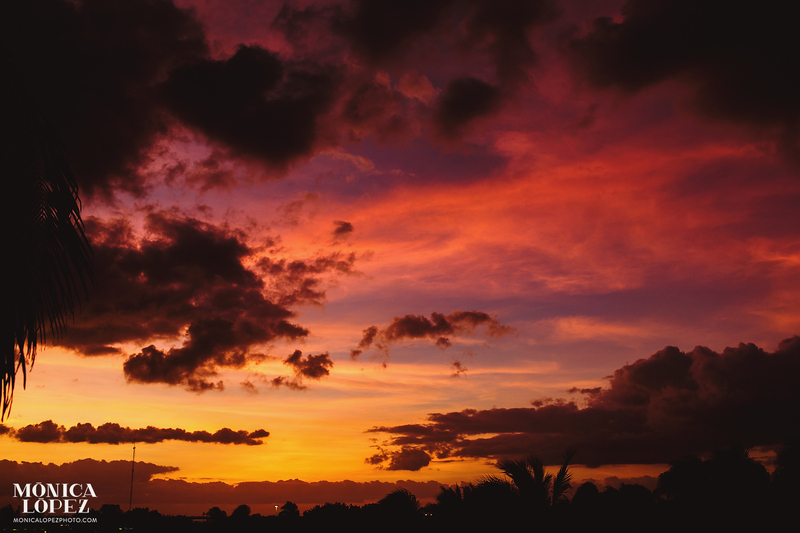 The day was just right for a photo shoot on the beach, with amazing ocean colors and an array of fluffy clouds tinged with soft pinks and purples against a blue sky. 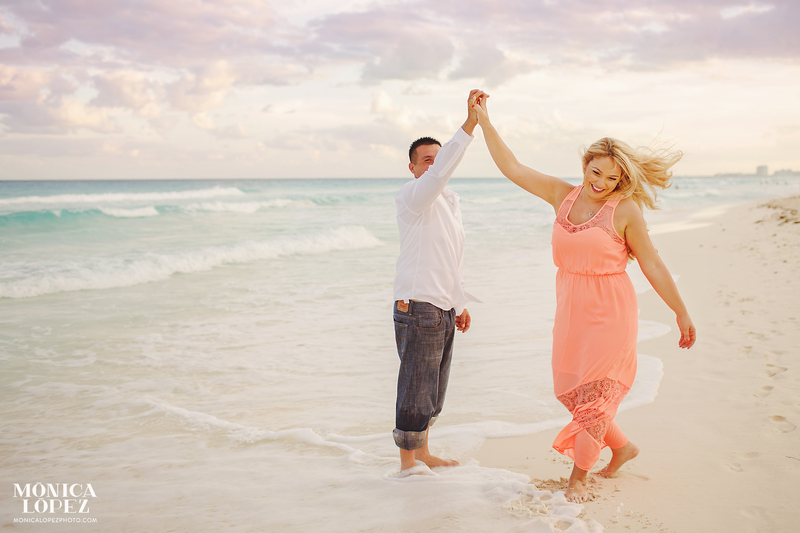 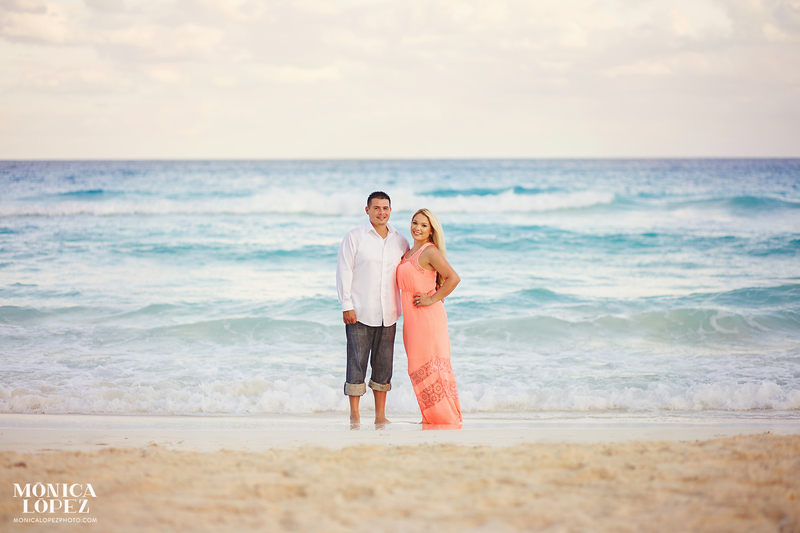 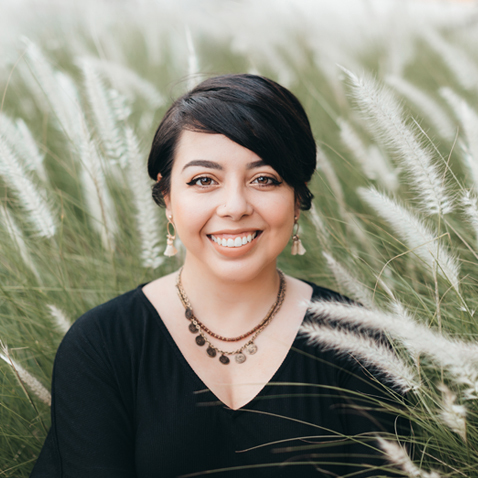 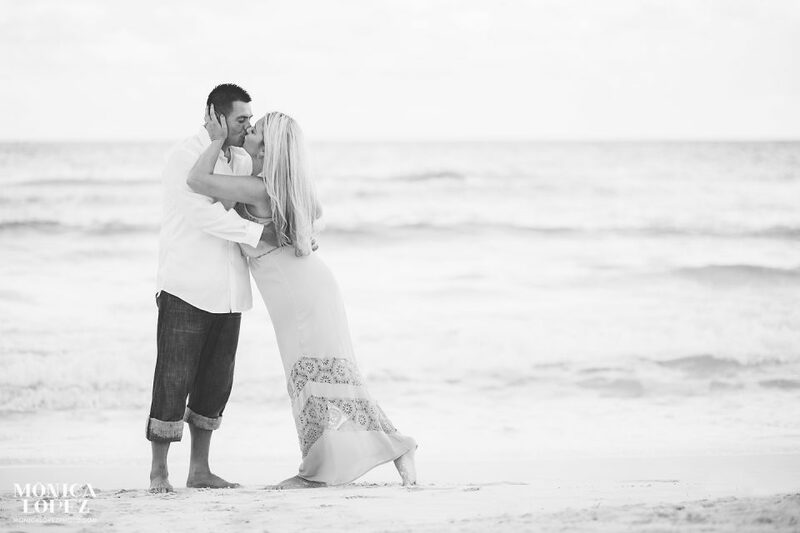 Noel rolled up his jeans to splash in the surf, while Christina let the tide wash through the hem of her beautiful pink dress; both got splashed, but neither seemed to care as they just enjoyed being together throughout their engagement portrait session! 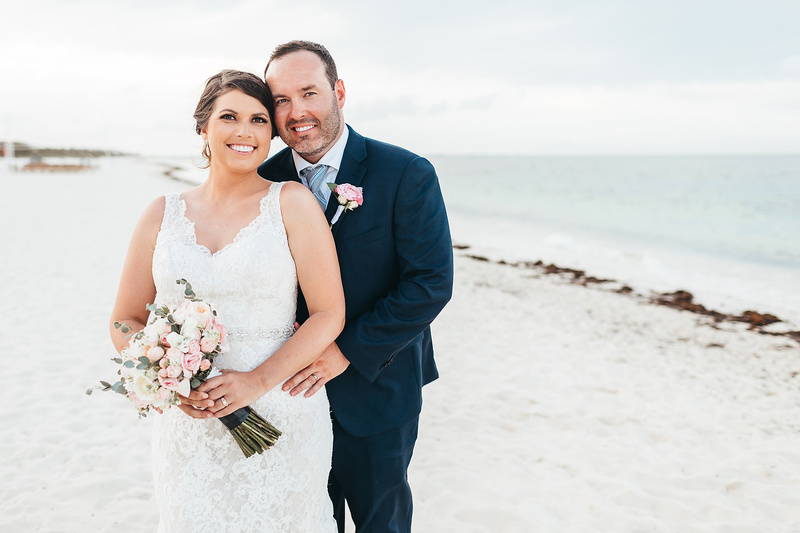 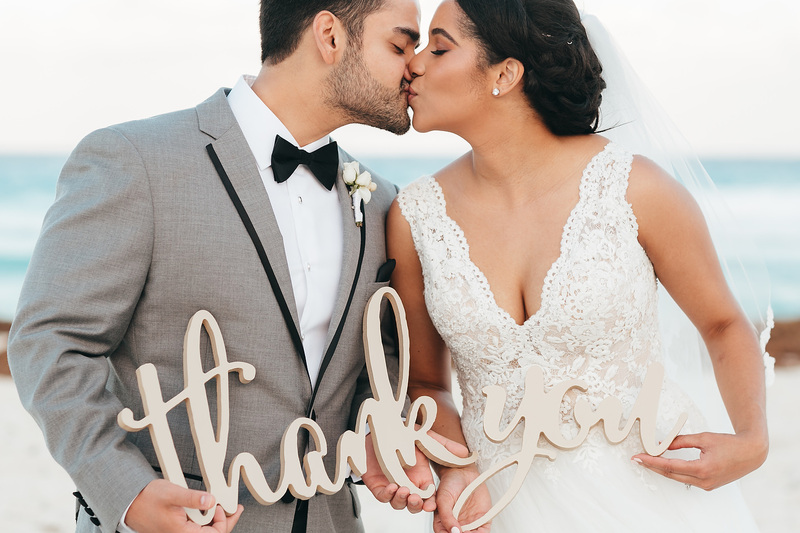 It’s so easy to see just how much Noel loves his bride to be, and Christina lights up with her charming smile and beautiful makeup palate of pinks and soft gold. 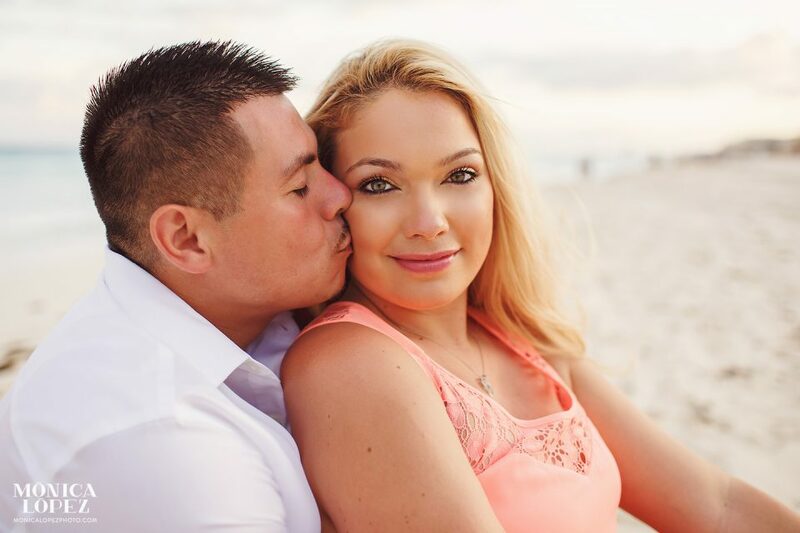 If this engagement photo shoot is any indication, Cristina is sure to be a gorgeous bride and Noel will be a handsome groom. Thank you Noel and Cristina for letting me be a small part of your engagement! 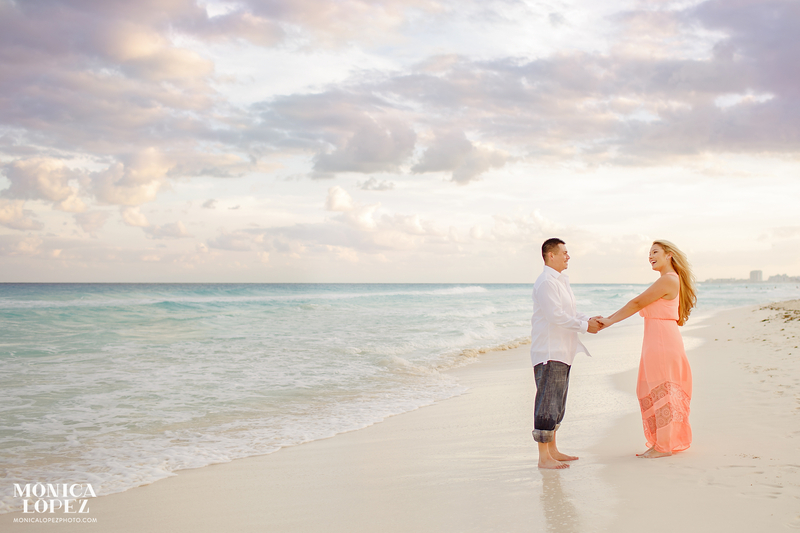 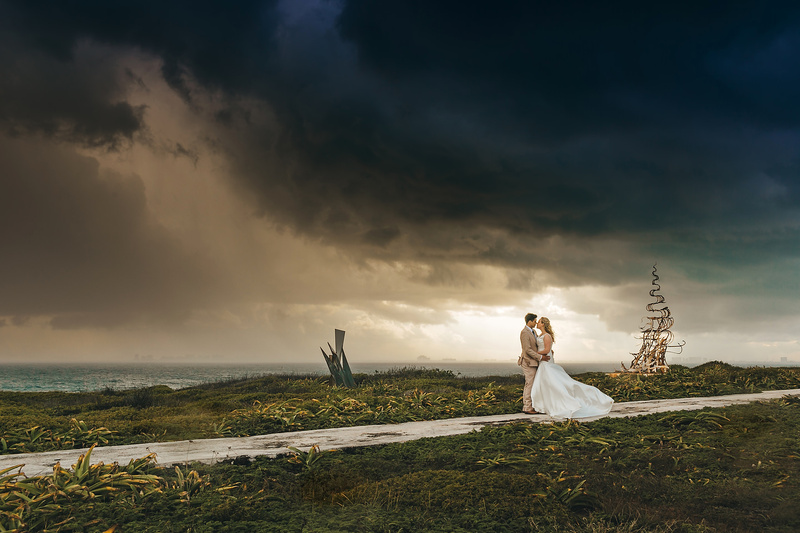 I wish you a lifetime of happiness together filled with many beach vacations.